We've been on the lookout for the top ten social media superstars in further education (FE), and we had some great entries! A huge thank you to everyone who took the time to apply and congratulations to our #JiscTop10 winners. The competition celebrates the excellent social media work being done by sector professionals out there – and the most innovative ways of using social media to add value to their practice. Each winner will receive an edtech visit to their institution, robot included. The final line-up was chosen by a panel of FE and social media experts, including Jisc's head of FE and skills, Paul McKean; Jisc's digital content manager, Richard Tatnall; TES columnist, FE teacher founder of UKFEchat, Sarah Simons, and FE Week journalist Sam King. "It's great to see the variety of ways practitioners are using social media to support their practice. The top ten use a whole range of platforms in many diverse and exciting ways. "It's noticeable that, while the practitioners come from across the spectrum of the curriculum, our top ten are all keen to share their own practice, either via social media, such as hosting #UKFEchat debates on Twitter, or their own blogs, but also in 'real life' by hosting local Teach Meets. "I'm also pleased to see the use of social media is having an impact, too, for example, it is cited as a contributing factor in attracting 'a wider range of local students than our normal geographic profile'." "What stood out for me was the real-world impact these social media activities are having. Among our ten superstars' submissions were examples of social media initiating new partnerships; securing student work experience (it's worth checking out #ReadingCollegeTakeOver for more on this); and even contributing to successful project bids. "When the impact of social media moves beyond the screen like this, its value really becomes clear. Our winners have provided many great examples of how investing in blogs and other social media channels can have big pay-offs for both practitioners and students. "It's certainly an exciting time to be a social media advocate in FE at the moment as new practices are constantly being tried and tested and our winners are leading the way for its integration throughout teaching and learning." Since joining Bolton College in November 2013, Aftab has kept an active blog which showcases the ILT projects underway across the college. The articles and projects are shared on LinkedIn. This attracts attention and has led to a successful project bid to the Education Training Foundation, which promoted the use of Ada, Bolton College's cognitive assistant for students, teachers and support teams. The project, which concluded in October 2017, also attracted attention via social media of IBM's Watson Conversation Team, who visited Bolton College in June 2017 to view its work on the Ada service. In July 2016, the Education Recording Agency did a case study on the college's use of personalised video content based on the social media posts about the service. The use of social media has also led to an increasing number of FE staff visiting Bolton College to learn more about its ILT services and projects. Aftab says the primary aim of his social media posts is to raise awareness of how analytics and technology can be combined in radically different ways to support students, teachers and support teams. Aftab's social media use has resulted in college-wide benefits, which show he is a real team player. By writing regular blog posts, and sharing the latest tech developments at Bolton College, he has attracted attention from leaders in edtech and beyond. Anshi uses social media to connect with educators across the globe and also to promote awareness of abuse and gender equality. This year she organised a Teach Meet (#TMReading17) which was successful and will go ahead again this year, all promoted by social media. All level 3 students interact on social media and have set up their own blogs to share and connect their learning with the real world. The hashtag #L3ClassAnshi is used to post any course-related items. Twitter/Facebook/Instagram/LinkedIn/Google community/YouTube and other websites effectively extend learning beyond the classroom and Anshi uses these platforms to seek work experience placements for students. As a result, all level 3 students were able to do work experience by taking over social media accounts of local businesses. Finally, Anshi is starting a pilot project to teach responsible use of social media to students in vocational courses. 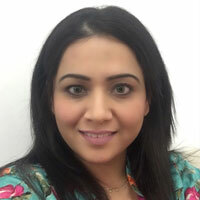 Anshi is a prolific tweeter who uses the medium to collaborate with colleagues from around the country, organise events to share learning, as well as raising awareness on a range of issues. She shows great enthusiasm for creating new online connections, harnessing the medium as a tool to instigate work experience opportunities and industry collaboration. The college project she is leading to teach responsible social media use demonstrates her commitment to leading learning and good practice. Jade is a pioneer in the college's use of Twitter and set up @KC_BTECsport. 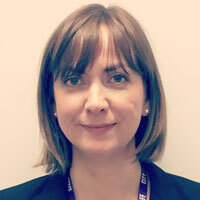 She is active in celebrating past students' successes to inspire and motivate applicants to vocational courses and highlights present students' success as they progress. The impact has been buoyant in terms of enrolments and applications on the sports courses and the college has attracted a wider range of students than its normal geographic profile. Social media activity has been instrumental in securing connections with local sports clubs and universities to give the students further enrichment. Jade also retweets local community events, which has helped up-skill current students and allows them to showcase what they do via a social media platform. She proactively shares what the college does and uses it as a positive tool to advertise good practise in the institution, but also opportunities in FE more widely. 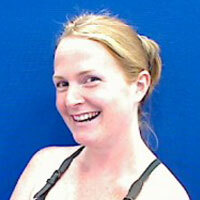 Jade has opened a whole host of opportunities for her students by delving into the Twittersphere. She has built an account that attracts the attention of potential employers and future applicants to Kingston College by documenting and celebrating the journey of current and former students through pictures, hashtags and frequent engagement with other Twitter accounts. James says that social media in general and, in particular, developing a personal learning network (PLN) on Twitter and blogging has allowed him to develop as a reflective practitioner and lead the conversation around additional learning needs reform in schools and colleges in Wales. He likes to use social media to promote, share and teach technology online, linking colleagues, parents, researchers, health and social services, edtech providers and users to think about disrupting the status quo and driving positive change. 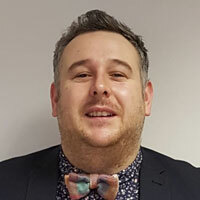 James is a co-organiser of Teach Meet South Wales, and has led UKFEchat tweet meets around those with additional learning needs wellbeing and support for learning and used social media to link with fellow educators and change-makers. For example, he was asked to present at Bett 2018 by Microsoft on the use of mixed reality to support transition for learners with additional and special educational needs and disability. James has used social media as a force for good, using Twitter and an online blog to start discussion and enlighten fellow educationalists on the additional learning needs reform happening in Wales. He regularly retweets content about ALN and SEND issues, which has earned him a dedicated follower count. James's enthusiasm and engagement with the wider FE community has led to sharing good practice through real life and online meets. His research into how analytics can help support ALN learners is an interesting project and has potential for far-reaching implementation. 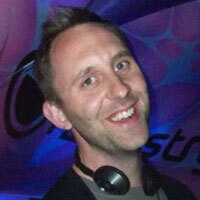 James uses social media to keep up to date with technology tools and see how others are making use of these tools. James puts the tools he likes on his blog and YouTube channel, where he suggests how they could be used to benefit teaching and learning. As a result, there has been an increased use of educational technology tools within the classrooms at the colleges he works at. Colleagues across the education sector have responded by suggesting tools James should feature on his channels and what it has allowed them to achieve with their learners. This work has resulted in Activate Learning winning an AoC Beacon Award and being shortlisted for a TES FE award for technology usage. He also engages through Google Plus and Google Plus communities, Twitter and various Twitter chats such as #UKFEchat. 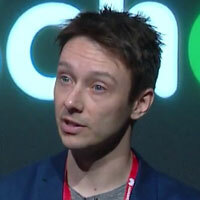 James is making tech accessible to teachers by making video explainers of the latest online tools that are available. The time put into the videos, and the sheer quantity of them, shows how dedicated James is to giving educators the skills they need to enrich their lessons. By investigating what's on offer and curating what he finds useful he has successfully removed a barrier in tech engagement - colleagues' lack of time. James has created a highly useful means to support colleges and share good practice, within his college and beyond. This team uses a combination of Wordpress, Twitter and Facebook to communicate across three campuses and beyond. As demand on time has increased, the team found it hard to maintain the same level of face-to-face support and saw how social media could help. 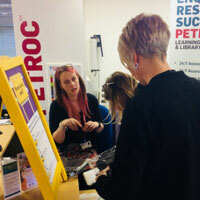 The platforms act as a shop window for the team to display learning technologies and library services to all. Daily tweets have an eclectic style, including the odd GIF and personal news, so the account stays friendly and interesting. Specific hashtags promote various LTLS projects and initiatives. For example, #PetrocReads5 is promoting a reading challenge through a live Twitter feed on the library services Moodle page and there's been a big uptake among staff and students alike. #PetrocGoogle5 promotes online Google training as part of the college's rollout of Chromebooks and Google GSuite (Wakelet), and #PetrocLTA is a starting point for discussing learning, teaching and assessment. The active promotion of Twitter has encouraged lecturers to create their own curriculum-based Twitter accounts and embed them within their Moodle course pages. The team has used social media as a way of continuing to support students at the library, countering the lack of time available for face-to-face contact. They use social media to its fullest advantage, not only in terms of in-college promotion but to the wider public. The team's understanding of the importance of tone in online communication is an impressive and rarely discussed nuance. Their welcoming online 'persona' transforms the outward direction of marketing information into an inclusive and ongoing conversation. Lisa has used Twitter since 2010, when developing her teaching practice as a new FE lecturer. At the start of the academic year she encourages students to follow her and arranges them into course groups in the List feature, without following them back. This way, she can look at student tweets when required, or converse if need be without seeing their tweets in her feed. Those students who have graduated go into a list of alumni so that she can maintain links with them in their careers. Lisa regularly posts relevant articles and identifies stand-out advertising campaigns and refers to the tweets in class. Frequently, advertising agencies involved in the campaigns will engage with the post, giving an opportunity to promote the course and the students as informed future professionals. Recently, when undertaking an educational podcasting project known as Retail Chat she created a separate Twitter account to promote the work, and hopes to expand this as a way of further engaging students. Lisa's organisational skills are exceptional, establishing online lists of college alumni and her course groups, and a second Twitter account set up just for posting educational podcasts she records with professionals in the retail industry. Lisa ties the importance of engagement with social media to her teaching curriculum and skilfully engages learners. This is an excellent example of modelling good practice. This is an inventive and committed use of social media platforms. 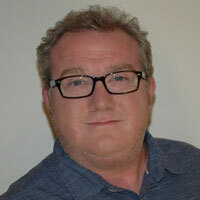 A social media and edtech advisor to The Education Foundation and Edtech UK, Scott is in charge of a team that trains staff in creative and innovative approaches to teaching and learning. All students now use social media and digital technology in a professional and responsible way that enhances their digital reputation and employability skills. The techniques Scott has developed have been cited by Edexcel and Ofsted as outstanding practice of engaging both students and industry and he was shortlisted this year for the TES FE award for outstanding use of technology. Scott's passion for teaching students and colleagues about the benefits of social media is clear. His involvement with EdTech UK shows he has his finger on the pulse and is committed to keeping at the forefront of how teaching can evolve and adapt in an increasingly digital age. His ongoing exploration of how communication platforms can be used to support students and staff alike is both exciting and inspirational. He clearly cares about what he does, about the people he works with, and those he works for – his learners. Simon's use of social media to help engage apprentice plumbers was born from his 2014 PhD on college courses and apprenticeships in plumbing. The study found the plumbing curriculum in FE was dislocated and important aspects of apprenticeships were being ignored, including the experience of being part of a community of workers. On returning to practice as an FE plumbing teacher in 2015, Simon noticed apprentices were distracted with smart phones, so he decided to capitalise on this. He formed closed Facebook social media groups, with tutors, assessors, college managers, directors and apprentices. The apprentices put pictures and videos of their work on the Facebook group, and in classroom sessions other students instantly engaged with their own pictures and critical comments. The students' responses were "extraordinary". They were interested in learning more, and continually compare/correct their own work performances with peers, which drives up standards. Simon says the use of smart phones and social media communities shows that assessment can now be easily collected digitally and that students are more engaged and able to form professional communities, while emphasising practical work. It's also worth noting that tests use employers' resources, so colleges don't need to buy expensive materials for assessment. Simon has created a platform for his students to develop professionally in the safety of an online Facebook group, which is an excellent use of the platform, and one that other teachers can learn from and implement easily (and at no cost!). His work has also proved highly motivational to students and colleagues alike. 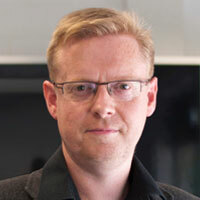 Having shared his work internationally, Simon's academic expertise twinned with his ground-level experience of vocational teaching and learning make his insights into the value of digital pedagogy an exciting prospect. Tony is a regular contributor to #UKFEchat and has co-hosted the #UKFEchat podcast this year. 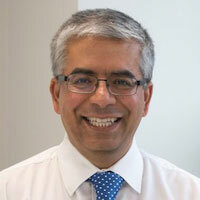 He also leads and runs @lvpnet, which is a network for Learner Voice practitioners across the UK. Its Facebook community, with more than 200 members, is a place to collaborate and share best practice. Tony also hosts regular networking events around the UK to ensure technological innovation is at the heart of Learner Voice. Tony has recently completed a year's secondment with NUS, where he supported the development of an online Learner Voice Framework to allow institutions to self-assess their collaboration with learners and build an action plan to expand work into new areas of development. Tony's Twitter account @lvpnet shows he is keen to work inclusively and in open discussion around best practice with fellow Learner Voice practitioners. Tony uses social media to advocate for the value of Learner Voice and in doing so, in collaboration with the NUS, has created a powerful tool to enable institutions to improve their own Learner Voice offer. Tony's engagement with wider FE policy through Learner Voice Network, NUS and #UKFEchat has seen him emerge as a valuable thought leader.